Winter is a magical time in Bad Ischl. The mountains are wrapped in snow and there is every sort of winter pursuit available in the area. As you would expect there is excellent skiing but there is also plenty for non-skiers : Winter walks, snow shoe walking, ice skating, sleigh rides, thermal spas and sightseeing. We are right in the centre of the Dachstein West ski region with its network of 45 lifts and cable cars serving over 140 kilometres of wide, well groomed piste . Relatively unknown to skiers outside Austria and Germany, this is an excellent ski area with modern facilities, set in breathtaking scenery. There is skiing to suit all levels from beginners to the most experienced skier, top class ski schools and welcoming mountain restaurants. In fact everything you need for a great ski holiday! 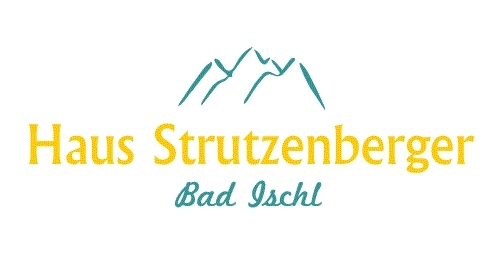 We are 25 minutes by car or about an hour by free ski bus from Gosau and Russbach. The free ski bus runs from the centre of Bad Ischl. With skiing to suit all levels, you can ski all day with hardly a queue, and always find a mountain hut to relax and enjoy traditional food and drink. Ski touring is one of the fastest growing winter sports. Ski touring (sometimes called ski de randonne, ski mountaineering, and AT [alpine touring] or variants) uses special ski equipment that enables the user to climb then descend slopes without the aid of ski lifts. Sounds mad? Maybe but fans of the sport love to get away from the crowds and ski free. The Katrinalm in Bad Ischl 5 minutes drive from Haus Strutzenberger. For cross country enthusiasts there are miles of classic and skating trails, with spectacular scenery, just a short drive away. Try the trails in Bad Isch Langlauf Centre-Rettenbachalm and around Pfandl, or those around Lake Wolfgang and Langbathsee, Bad Goisern and Gosau. We are 25 minutes by car ( or about an hour by ski bus) from Postalm Activity Centre. This is the highest alpine plateau in Austria, sunny and snow sure.Great for families! For skiers this is a beginners' and improvers' paradise with about 20km of nursery slopes, blue and easy red runs. There are excellent cross country trails. The Fun park (with tubes and body boards) and floodlit toboggan run just add to the fun you can have here. We are 25 minutes by car ( or about an hour by ski bus) from Dachstein Krippenstein with skiing at over 2000m, 11km of runs with a 1500m drop! Great off piste skiing. This is a challenging resort for all skiers and snowboarders. There is also a beginners area and ski school. Even if you don't ski here, go up just for the view -it's like being on the top of the world! We are 25 minutes by car ( or about 40 minutes by train) from Feuerkogel Ski area. The area offers great skiing for all abilities along with excellent marked snow shoe trails and winter walks. The views are absolutely fantastic and the huts and restaurants welcoming and not overpriced! If you fancy time away from slopes ,or you are not a skier, there is lots to do in and around Bad Ischl. Try snow shoe walking, curling or ice skating, take a horse drawn sleigh ride, try out one of the toboggan runs. For complete luxury ,or to recover hard worked muscles, a visit to the thermal spa at the EuroTherme - Bad Ischl is a must. The spa has pool heated to 33 degrees C, saunas, steam baths, whirlpools and a full range of therapeutic massages and beauty therapies. Why not treat yourself! Eurotherme opens every day from 09:00 - 00:00. Take a trip to Salzburg. The home of Mozart, the city is still alive with fine music, museums, cathedrals and gardens. You can even take the "Sound of Music" tour to visit the sites used in the film.